~Pick you up at our appointed hotels in Shanghai; pickup time varies for each hotel (see below). ~Visit the Gorgeous Bund, including a pleasant river cruise in the Huangpu River. ~Have a stroll at the famous Nanjing Road Pedestrian Walkway, shinning with blazing neon lamps. ~Visit the brilliant People’s Square, new landmark of Shanghai. ~Visit Xintiandi (Former French Concession), famous for its rich night life. 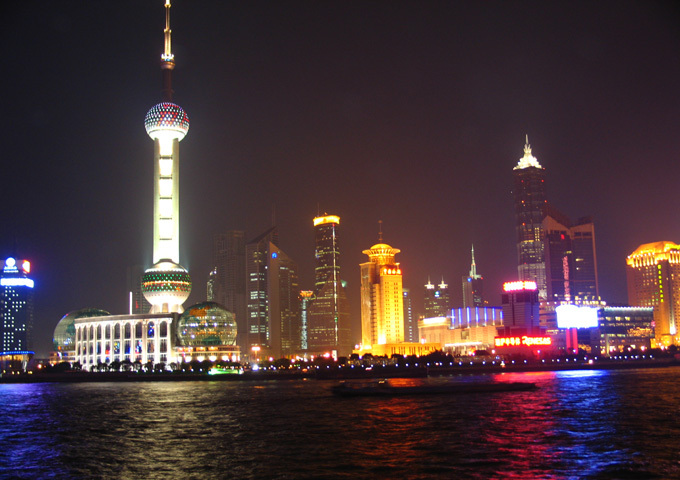 ~Be transferred back to our appointed hotels in Shanghai. *English-speaking tour guide and air-conditioning coach transfers. *Half price for children between 2-7 years old; free for children under 2 years old. *If you are a group of 10 or 10 people above, please tell us, we could give a discount. *Payment: Pay CNY cash directly to the tour guide when you aboard the vehicle. *We provide many more One Day Group Tours for Suzhou, Hangzhou or Shanghai. You can take two or above Day Group Tours if you’d like to see more.